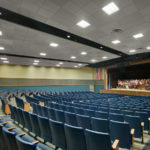 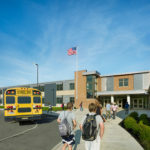 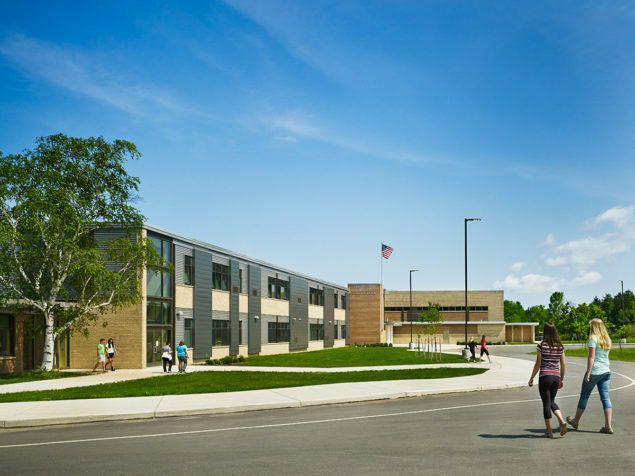 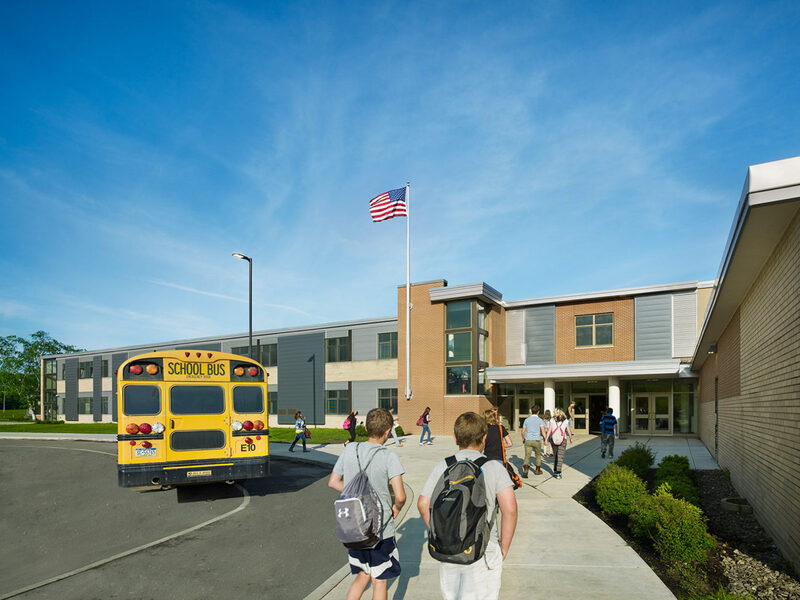 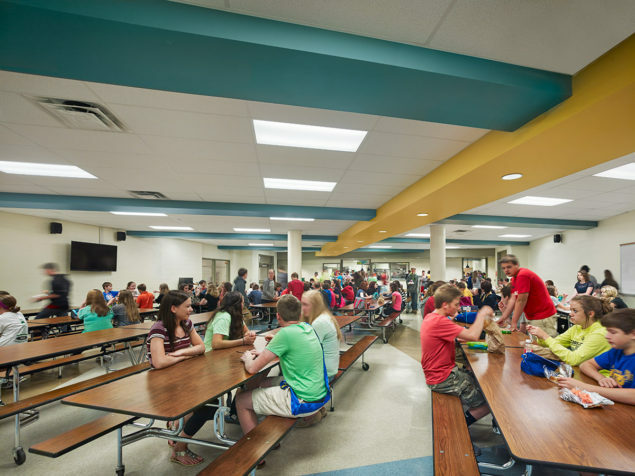 Faced with declining population and an aging middle school and high school, the district renovated and expanded the existing high school to accommodate both the high school and middle school programs. 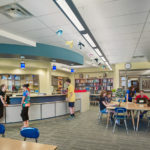 Grade level pods were created to meet the Educational Specification defined by school administrators and the community. 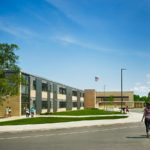 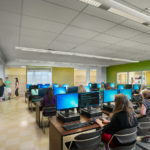 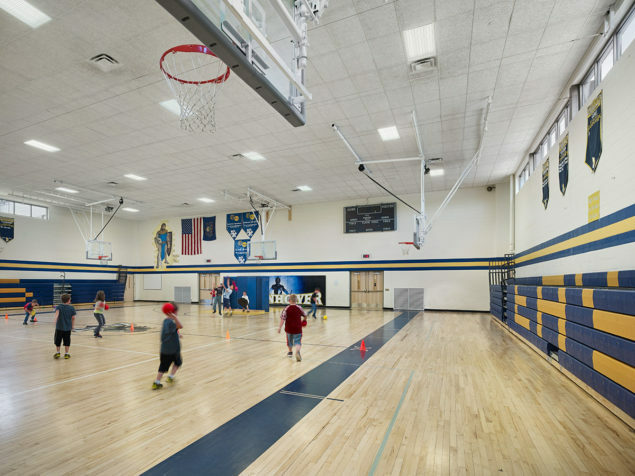 The existing 123,000 square foot facility was entirely updated and the middle school program was separated from the high school in a distinct new 38,000 sq. 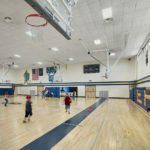 ft. two-story wing. 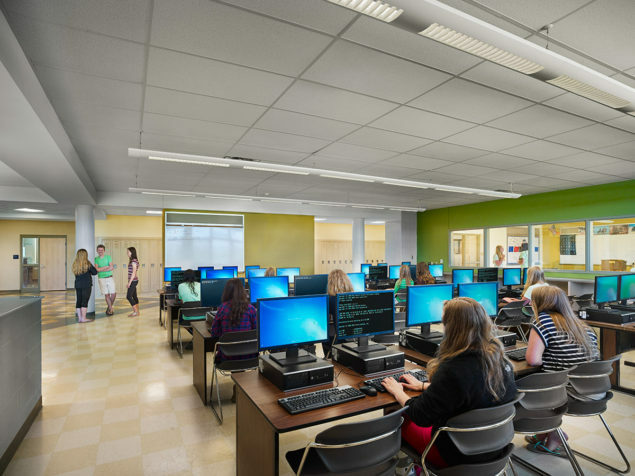 Classrooms and common facilities were completely updated to support current educational trends. 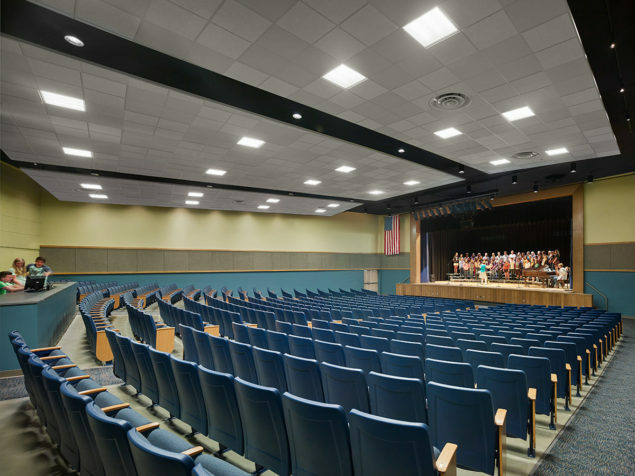 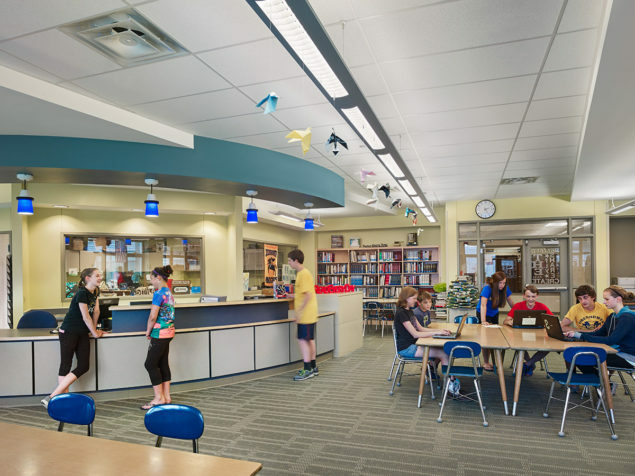 Extensive use of daylighting and enhanced interior finishes improve the learning environment. 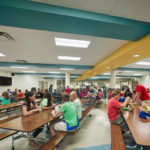 The dining commons, library, fine arts, gymnasium, 600-seat auditorium and music rooms are positioned support the entire student body and enable access for evening and community events.